Dealing with acne in your teens is stressful. But, are you suffering from acne in your late twenties and early forties? If yes, then you will agree with me that these pimples are just another obstacle to your grooming. According to a study carried out by the National Institutes of health, it was estimated that 80 percent of the age group between 11 and 30 have had acne outbreaks at some point in their lives. So, it’s not necessarily true that you won’t experience acne after entering your thirties. Thus, you can always try to improve your skin texture. Anyway, I thought I would share the best acne treatment for men. Or at least the options out there. According to a 2011 study published in Men’s Health, eating certain foods can promote the chances of a man experiencing acne. For example food with Omega-3 deficiency and lots of milk (source). Sunlight is useful in the sense that it enables you to produce vitamin D. Although, too much exposure to the sun can be harmful. It doesn’t just damage the skin, it also increases oil production. That, in return, leads to pore clogging. Yet, that’s not the case for everyone. Read more here. If you are from a family that suffers from regular acne breakouts, the chances of you dealing with acne are high. But before you run off to get your next acne treatment, there are some things you need to understand. Before choosing an acne treatment that will work for you, there are a few things you need to keep in mind. 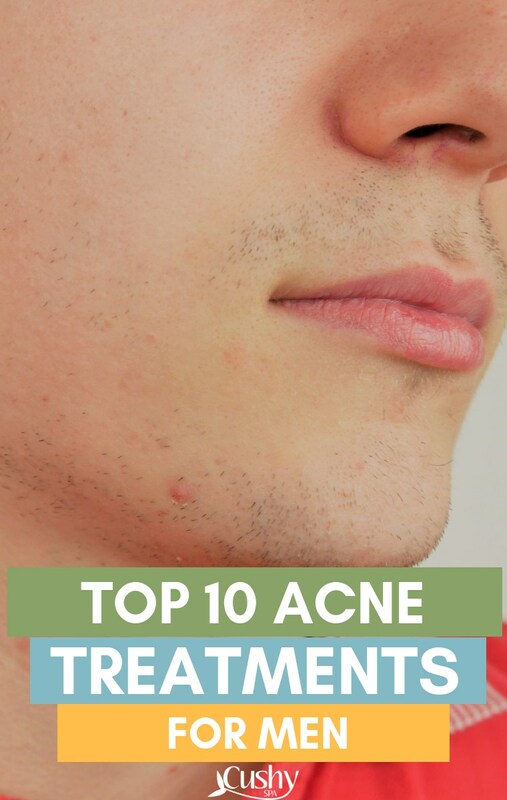 First, acne should be treated individually. There is no one holistic treatment of acne that works for everyone. For starters, you need to recognize your skin type if it is dry, oily, normal, or the combination of both. That’s because there are different ways in which acne manifests on your skin. These include – blackheads, cystic acne, whiteheads, pimples, and acne scars. Also, it is important to know the type of acne you have so that you can effectively choose a remedy. This is a severe form of acne that’s inflamed and filled with pus. Unfortunately, it might be painful too. Whiteheads are clogged follicles covered by a thin layer of skin that appear as white spots. Pustules are the inflamed lesions that are filled with pus. They can appear yellow or white. These are clogged follicles that appear as a dark bump on the skin surface. 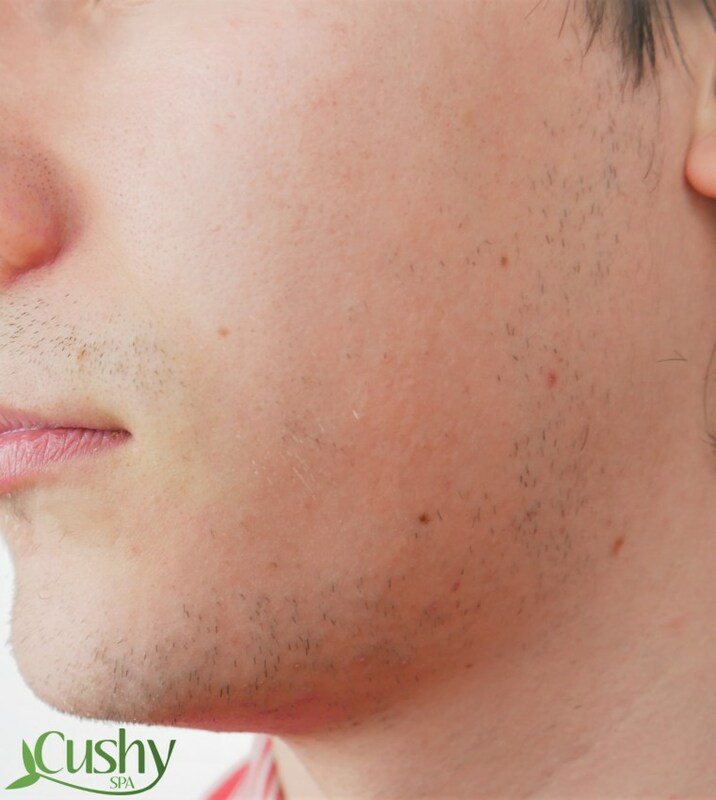 Papules acne can be sensitive and painful as it’s inflamed lesion which may appear red. The nodules type of acne grows underneath your skin. They are hard to touch and don’t contain pus. If you’re used to buying an over-the-counter acne treatment you might notice these common ingredients. Salicylic acid is a beta hydroxyl acid and that makes it one of the biggest enemies of acne. It unplugs acnes and its strength ranges from 0.5 to 5 percent in OTC treatments. Also, it may cause mild stinging and skin irritation depending on skin type. Sulfur has been used for acne for many years. It’s often combined with other ingredients, such as benzoyl peroxide and salicylic acid. The combination removes dead skin cells and excess oil. Benzoyl peroxide works by killing the bacteria that causes acne. It also removes dead skin and excess oil which may clog pores. The strength of Benzoyl peroxide ranges from 2.5 to 10 percent in OTC products. There are two types of alpha hydroxy acids used in non-prescription acne products. These are lactic acid and glycolic acid. Both types treat acne by reducing inflammation while removing dead skin cells. If you are a man or a male teenager and you still don’t know which treatment method to use, this might be helpful. Perhaps you have tried a dozen products and your acne won’t just go. 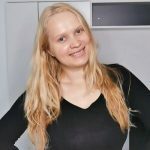 I’m sharing 10 natural ways to treat it. I’ll include 3 products that I think are worth the attention as well. Exfoliating your skin routinely is a must. Just use mild scrubbing products. You can exfoliate wither with chemical or physical products. However, excessive exfoliation can cause skin irritation. So, don’t go too far with it. For physical exfoliation, mix oatmeal with honey and rub it on your face. Wait for two to three minutes before you gently rinse with warm water. If you’re not a fan of natural remedies, just check the product I recommend below. Also, you can purchase a konjac sponge which is known to be gentle enough for the face. While for chemical exfoliation, you can use a BHA or AHA at a pH between 3 and 4 to shed off dead skin. BHA products usually include Salicylic acid. It also promotes fast skin regeneration. In the same vein, you can rub a light layer of honey onto your skin and allow for thirty minutes before rinsing. This is because at a pH between 3 and 4 honey contains AHA’s that will exfoliate the skin. Here is a product I recommend. The Innisfree Jeju Bija anti-trouble facial foam has a pearly texture and a creamy consistency. It removes pore impurities and relives the skin from dryness. No wonder the name “Anti-trouble”. It helps to keep your face moisturized, repel redness, unclog clogged pores, and smoothens the skin surface. I feel like it has a nice smell too. It contains salicylic acid which helps it to remove dead skin cells. Good if you’re not a big fan of exfoliation. When your skin becomes dry, your body tends to produce more oil. These excessive oils can clog your pores which is likely to lead to more breakouts. That’s especially the case during the winter season. Investing in a quality moisturizer can be very useful. It can prevent your skin from being irritated and dry. If you have a very dry skin and you are using either salicylic acid, benzoyl peroxide, or Isotretinoin treatment for your acne, then you will need the help of a quality moisturizer. To prevent your moisturizer from being what might cause your acne breakouts, you will need to get a one that is non-comedogenic, oil-free, and won’t clog your skin pores. This moisturizer does just that. To have an effective plan towards treating acne even before it gets to the surface is usually the best idea. Hydrating your skin is the way to go. It’ll keep your skin at the right moisture level thus preventing it from producing too much sebum. Some acne tends to be dry and flaky too. Hydrating your skin will help you to prevent redness and lower inflammation (source). 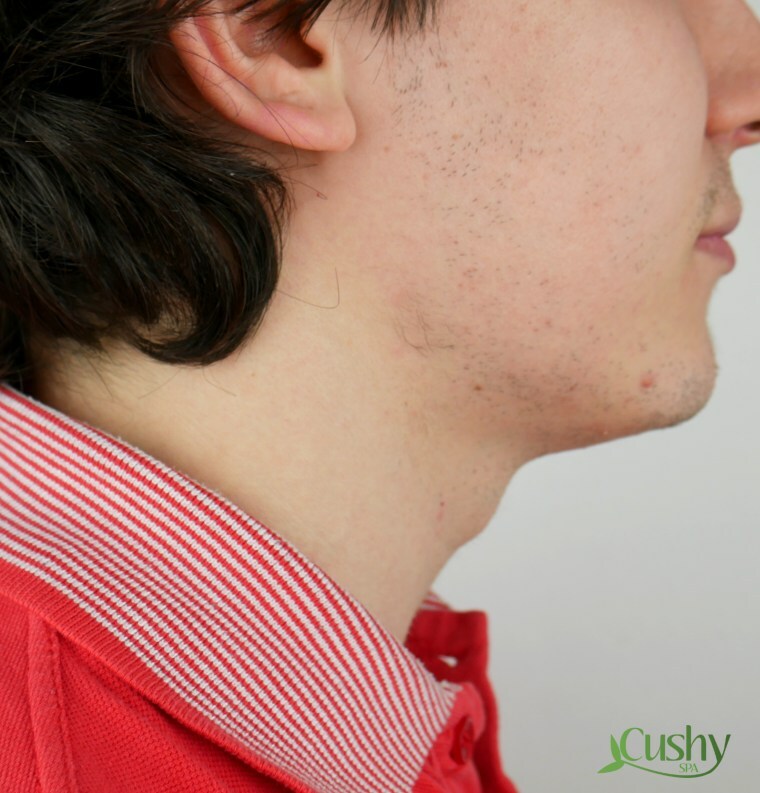 One of the best acne treatment for men with oily skin is to consume apple cider vinegar daily. To use this method, you have to drink a tablespoon of organic, raw apple cider vinegar daily. You should do it first thing upon waking up, even before breakfast. Apple cider vinegar helps your body to get rid of toxins. Then, kidneys can transfer the waste easier (source). Aside from it being an excellent remedy to the digestive system, it is also a fantastic remedy for curing constipation. A study showed that acetic, citric and succinic acids can kill Propionibacterium acnes. It’s a bacteria which is responsible for acne. And apple cider vinegar contains all these acids. The Humane Benzoyl Peroxide 10% is one of my favorites because it’s pretty strong. It has the ability to end all kinds of acne problems you might be dealing with. Also, it does not contain parabens and any other SLS fragrances. Thus, making suitable for all skin types. This product is good to use on every part of your body without worrying about irritations. It works by attacking the bacteria that cause acne at the root and also prevent skin breakage. When tackling acne, it is important to keep your skin hydrated. To help it store enough water you can apply masks a couple of times per week. Use cinnamon, honey, yogurt, essential oils to make such masks. Here are a few best Korean face masks for acne that you can try at home too. These ingredients also help with acne. For Cinnamon and Honey Mask: Mix one teaspoon of coconut oil, half teaspoon of cinnamon, and two tablespoons of raw honey. Smooth over your face and keep the mixture away from your eyes. Relax for about 10 minutes and gently remove with a damp a cloth. Cinnamon and honey are great for fighting acne because of their antioxidant, antibacterial, and anti-inflammatory properties. If you have oily skin, don’t use coconut oil. While this might sound obvious, drinking plenty of water is something we forget to do. Although this may not be the cure-all for your acne it’ll certainly stabilize your metabolism. So do not underestimate it! Drink at least 8-10 glasses of fluids daily to keep your skin clean and hydrated from inside out. Water helps to throw out toxic waste and keeps your pores clear. Water also helps for urine to form, thus affecting the flushing out of the bacteria. At the of the day, it’s actually the bacteria that can make acne that ugly. Tea tree oil is derived from the leaves of Melaleuca alternifolia plant. This oil is less irritating than its chemical cousin benzoyl peroxide. Tea tree oil has a long history of fighting mild to moderate acne outbreaks (source). It consists of antimicrobial and antibacterial compounds that can help reduce acne-causing bacteria. They also reduce inflammation. The tea tree oil penetrates deep into the skin layer and unclogs pores. To use tea tree oil, add a few drops of the oil into the water and mix well. Soak a cotton pad into the water and apply the mixture to your entire face. Allow to dry up for about 20 minutes and apply a moisturizer. When it comes to the number ranking acne killer, this is the product to go for. It eliminates acne and its symptoms without the use of artificial ingredients. This product provides immediate relief in healing blemishes while strengthening the skin. The product penetrates deep into the skin pores. It reduces sebum production, discharges antioxidants, and help protect the skin. For effective usage, apply over the blemished areas while avoiding the surrounding skin. Allow for up to 30 minutes, then rinse off. Turmeric can be a good solution for your acne breakout problems. Aside from it adding a better coloring and flavor to your food, turmeric has anti-inflammatory compounds which can help prevent acne. Apply turmeric paste to your face and let it dry up. Also, you can consume turmeric daily by adding the powder to soups, curries or in the form of tea. As far as natural treatment for acne in men is concerned, aloe vera emerges as a winner. Aloe Vera gel extracts contain soothing and anti-inflammatory compounds that can help reduce redness and swelling. Magnesium lactate present aloe vera can help alleviate the itching sensation caused by acne. Its astringent components also remove excessive oil. It also helps with acne scars. 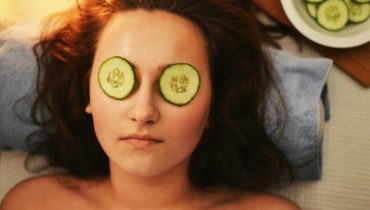 You can also cut open an Aloe leaf and apply it directly on your zits or get a cream or lotion which contains 100% Aloe. Wash off after 10 minutes of application. Finally, there are many herbal remedies such as the Birch, Calendula, Burdock, Arnica, Neem, and Lavender oils. They can go a long way in combating acne by restoring the body hormonal balance and killing off P. acne. Herbal remedies are available in form of oils, tinctures, or pills. Talk to your doctor to see whether they are right for you. Example of herbal remedies you can look out for are; gum guggul, Dong qual, vitex, olive leaf extract, and burdock. Just to mention a few. Just as you have read and seen above, I hope I have opened your mind a little bit. Therefore, feel free to combine the above-listed options with the plan given to you by your dermatologist. You can try them on their own too. You never know what your body might react to best. That’s about that when it comes to the best acne treatment for men. Let me know if you have any questions regarding products or remedies. I’ll do my best to answer them!